Words spoken in a movie, The Bookshop. The life of books comes to be in this wonderful film that is not just about books, but the enterprising spirit and what one would do to preserve it while another goes all out to try to crush it. It’s also about love and love denied. It’s about the forceful powers of good in some people, evil in others. It’s also about the appreciation of words – spoken, unsaid, written, and printed. In case you can’t tell, I loved this movie. It probably won’t be big at the box office, simply because artsy movies don’t get the distribution that they deserve. But it should be shown everywhere. The acting is powerful. Bill Nighy utters his performance with a certain mix of frustration in his voice but an inner desire to do what is right, a muted power that commands your attention. Emily Mortimer brought a certain elegance, beauty, and passion to the screen that is not often seen. A young, budding talent can be viewed in Honor Kneafsey and a modern-day wicked soul was played undeniably well by Patricia Clarkson. The movie takes place in a seaside town of England, 1959, where a controlling woman wants to run her town with the cold, efficient, but polite-to-your-face manner of Mr. Potter in It’s a Wonderful Life. Along comes a mid-life widow who decides to follow her passion and open a bookstore in a town lacking one. As the two do battle, other stories develop. But all throughout you feel the power of books coming from the shelves of her bookstore. The movie provides texture, the way you feel when you let your fingertips meander across a velvet rope or a soft, leather couch. The filming, editing, dialogue, and acting truly come together in a cohesive manner, allowing you to experience through all of your senses. You could even taste and smell when you are thrust into this thoughtful, touching and engaging story. Books represent ideas, knowledge, and dreams. The town that closes itself off from a bookstore is shutting down the minds of others. But when books flourish and their words are allowed to be consumed by any and all, even those who believe themselves not to be bookish will feel a warming towards the worlds books can craft for us. Books, as we see in the film can be a gift that one hands to another. If you want to feel anger, love, revenge, beauty – and feel for books – go see The Bookshop. Minoti Rajput, a Certified Financial Planner and Chartered Special Needs Consultant, has served as the founding president of Secure Planning Strategies for nearly three decades. Rajput, born and raised in India, studied finance and worked in banking before her arrival to the United States in 1980, helping small business owners with financial planning. In 1989 she formed her firm offering comprehensive wealth planning with a subspecialty of life planning with financial and legal guidance to families of special needs children. For the past 29 years her firm has counseled 1,500+ families of children with special needs. Her thriving practice based in Michigan, also services affluent retirees and pre-retirees, small business owners, and women in transition. Her firm, Secure Planning Strategies, represents nearly 300 clients with $330 million in assets under management. 1. What convinced you to devote the last three decades of your practice to helping families, with special needs children, plan for the future? It was a combination of a few reasons. First, having the desire to have a sub-specialty in my practice that was more meaningful, intellectually challenging and emotionally satisfying. My niece with autism was often on my mind, and the fact that I met three different families who were clueless about their special needs child’s life after the parent’s passing. I dug deeper to find out more about this area of planning. Once I discovered the need -- and saw a lack of professionals specializing in special needs planning – I jumped in. 2. Your niece was diagnosed with autism. What fears and concerns do her parents have about their daughter’s fate? My niece lives in England and she receives benefits from the government and will provide her with residential and advocacy solutions once her parents pass away. She attends their day program currently. Her parents share the same concerns as all my clients do. Will she get the same loving care that the parents provide? How will she handle losing her parents? Will she be traumatized? How will her, sister who lives in another city, manage to maintain a loving and caring relationship with her? Will the government be able to provide good health care under budget shortage? 3. How do you begin the process when working with a family that has a child with a disability, learning disorder, or mental illness? Many of our prospective clients approach us for consultation after attending a special needs planning workshop we presented. We also get a fair number of referrals. They complete a questionnaire with details of their personal and financial information, as well as some basic information about their child with disability. The fact-finding meeting is very important. A deep probing into their family situation, abilities and inabilities of the special needs child, as well as inquiries on financial matters allows us to educate the family on special needs planning, identify planning challenges and test possible solutions. We then offer to do their planning and help them implement the plan. We introduce them to the attorney to complete the legal documents and we always attend the meeting with the attorney. Once the plan is in place we monitor it on an ongoing basis. 4. How challenging is it to help parents deal with the emotional side of financial planning for a child that is likely to age with numerous difficulties? It is difficult in every case. Our message is the importance of planning for the parents as well as for the children with disability. The assets have to last two generation. Some families accept the reality and do the best they can. Some have emotional reaction of sadness/ anger/ frustration. They often feel that they will never get a break. Parents feel the pressure of lack of adequate support from the government and their own limited ability to do the financial planning. The fear of the unknown future when they are gone is distressing. We encourage them to do the best they can with proper guidance. 5. What do parents need to know about government assistance programs? Parents need to be educated on this very early on. They need to understand when a child with disability can qualify for SSI, Medicaid, and many programs under the broad umbrella of Medicaid: the qualification requirements, when to apply, types of assistance, the agencies associated in their geographical area, the budget challenges and how best to work with the government agencies. Government websites, special education schools, advocacy organizations educate parents on this matter. Parents need to be careful not to miss qualifying their child in a timely manner at age eighteen, and plan never to have the child disqualify either. 6. What’s the difference between a third-party and a first-party trust? Third-party trusts are established by the third party, such as parents or other family members, for the benefit of a child with a disability. It is funded with the assets of the third party. Assets remaining in the trust after the death of the disabled person are distributed to their heirs. First Party Trust is usually funded with the assets of the person with a disability. It must be established and funded by a parent, grandparent, or the guardian of the person with a disability, or by the court for a person with a disability under the age of 65. The trust is usually irrevocable, and the special-needs person is the only beneficiary of the trust. The trust is usually funded with a settlement resulting from a tort action or inheritance received by a person with a disability received inadvertently. Upon the death of the person with a disability, the remaining assets of the trust must be used to pay back any state medical agency providing benefits. 7. What are some of the most important non-legal documents that detail the appropriate needs and care instructions required by the special-needs child? A letter of Intent is one of the best non-legal documents created for the special needs person. This is the document where parents describe everything in detail about all aspects of their child. The child’s abilities, inabilities, health issues, medications, allergies, food habits, insecurities, favorite things, favorite person etc., In addition, it also provides instructions of how they would like their child to be taken care of. Instructions on family visits, recreation, medical checkups, etc. This guide is extremely important for people who will be stepping in the parent’ shoes as trustees, advocates etc. Absence of this document makes the caregiving very difficult and takes a toll on the special needs child as well. 8. What is an ABLE account and why do you not consider it as a planning tool for the long term for a person with a disability? ABLE accounts allow a person with disability to have assets in their own name with certain conditions, without jeopardizing their eligibility for government benefits. It is however, very limited, and is not designed to provide lifelong care supplement to the government benefits. It also has the state pay back language. 9. In your book, you profiled five leaders committed to helping special needs children. What impressed you about their work? Each individual or couple has been true advocates and they continue to make a positive difference in the lives of those with disabilities. Some have been inspired by their own child/children’s needs, but they have gone further and recognized the importance of serving the disabled community at large. They continue to dedicate their time and energy in the area of finding alternate employment, residential options, advocacy, education as well as medical diagnosis and treatment for the disabled. They work tirelessly and have to often deal with the government rules and budget constraints but they continue with their mission with the hope of improving the lives of those with special needs. 10. Having counseled over 1,500 families nationwide with special-needs children, do you see anything the government should be doing to ease the burden of financial planning? The US government, as well as the governments of other developed countries, are facing challenges in providing services to the increasing special needs population. Yes, the government in the US needs to provide options for planning a better life for the longer living special needs population. Our laws are somewhat dated and need reforms. On the other hand, taking care of a special needs child is a partnership between the government and the families. Governments will need to tax people more in order to have a higher budget for benefits, which is not an option either. The government certainly needs to have more employment opportunities for those who can work, and residential opportunities with care giving. Families need to be strong advocates and work with the government to provide the care and benefits for their special needs family member. 11. Why do you hope your book inspires more financial planners to specialize in planning for special-needs families? I have personally experienced how families benefit from working with a knowledgeable financial planner who can provide comprehensive planning with focus on special needs planning. They can act as the quarterback coordinating all aspects of the family’s planning and guide them in the needs of the special needs child. The special needs population is large and families need capable people to help and guide them in taking care of their needs. Financial planning is a profession and also a service. I hope my book demonstrates the need and also the satisfaction of helping families that are vulnerable. It is not an easy specialization. There is a lot to learn, but it is very rewarding. For more information, please consult: www.spsfinancial.com. Please note: This author is a client for the public relations firm that I work for. Robin Leach, once the host of the entertaining television show, Lifestyles of the Rich and Famous, died at the end of August. With his passing, I was inspired to imagine a show dedicated to authors: Lifestyles of the Poor and Wannabe Famous. Most writers know that penning books is not a lucrative deal for the vast majority who peddle their creative talents. But they also know that some, however low the percentage, do break through and make a pretty good living from their passions. Maybe a television show dedicated to highlighting the lifestyle of writers, from the undiscovered raw talents to the best-selling, wealthy authors, would help usher in a new era for the writing class. Writers – and the public – need to understand and fully appreciate what our creatives go through to pursue their dreams. What fuels the writings of an author? How does the author co-exist in the world he imagines onto paper and the one he must navigate in reality? How do authors survive the lean years without killing their hopes completely? How do writers view fame and fellow writers? How do writers define acceptance? How do writers think – and feel and react to the life they are thrust into? How do writers really live- their lifestyles, habits, relationships, health and mental state? This could be powerful TV! Robin Leach had a passionate personality, so enthusiastically thrusting himself into uber wealthy people’s homes and lives. He let us experience whatever his peering camera explored, leading us with a distinctive voice and curious but charming way of probing. For people to appreciate today’s author, what voice or personality would be appropriate? Writers are not necessarily a homogenous group. Indeed, writers span the ages, races, religions, and socio-economical classes. A southern senior may be a totally different person and writer than a northeastern millennial or a black Californian gay man. Writers are as varied as the nation itself, perhaps filled with more diversity than any other occupation. But to be a writer, regardless of genre, ties a group of people together. They are attached not just by the words they use or the screens they touch to click out a masterpiece, but by a spirit. The soul of the writer, at times, can seem like it’s shared by all writers. It is the essence of the writer’s being that a TV show should seek to capture. Would such a show get good ratings? Would advertisers find a calling here? Would the writing community tune in to a show that too closely mirrors the lives of its members? Should the show be more aspirational than reflective? Shall it take us to where we hope to go as writers – or inspire others to become writers? Leach’s show appealed to the dreaming viewer who wanted to live what he or she saw on the TV screen. Viewers may have felt jealousy and envy, but they also felt pleased to have access – however distant and voyeuristic – to actually look at the lives they can only dream about. Could a TV show for writers help writers dream to be better – or will it merely affirm to writers that their story is the same as others who seek to pen their riches? What if a TV show searching for truth and reality about writers has a negative impact, showing the public that writing is not as easy as it looks, that the writer’s lifestyle is far from glamorous? What if it turns people off from writing? Writing chooses writers. Those who pick up the pen or pound the keyboard as if searching for the write code that allows them to enter into the kingdom of fame and fortune, write because it’s their destiny. They may not even have a choice. Circumstances, thoughts, and certain events conspired to place them right where they are on the writing spectrum. There’s free will but writers know who they are long before they know much of anything else. They find a natural ease in moving words around to accurately fit a moment, as if they were working in an airport tower and guiding hundreds of planes to land or take-off safely and in a synchronized manner. So many moving parts – but the writer knows where they all belong. Robin Leach may have been the right man at the right place. If not him, someone would have created a TV show about rich and beautiful people. Everyone is curious to see how the elites live. They want to hang on and dream in the backyards filled with mansions, private jets, huge yachts, and hot spouses. Will people be eager to see the disturbed inner thinkings and impoverished surroundings of a struggling writer? 1. What really inspired you to write your book, to force you from taking an idea or experience and conveying it into a book? The idea for Afton Morrison came to me one night after watching a rerun of Forensic Files. I thought about creating a character who was cold and arrogant enough to think he or she could pull off a string of perfect murders without getting caught. The question became, who in a small town would be the last person suspected of committing a grisly murder? A children’s librarian, that’s who. I shadowed our children’s librarian here in Fort Erie to learn more about her role and responsibilities, and then got to work soon after on creating an unlikely vigilante heroine that readers could root for. 2. What is it about and whom do you believe is your targeted reader? Go Home, Afton is the first of four books that follow Afton Morrison, a twenty-six-year-old children’s librarian in the fictitious Midwestern town of Wakefield. As a teenager, Afton first becomes aware of the violent impulses inside of her, demanding that she claim a human life. She resists those impulses until she’s an adult, at which point she chooses to direct her murderous intent toward those who, she feels, deserve it. In Go Home, Afton, our titular protagonist hunts down a known sexual predator, intending to make him her first kill. Readers that enjoy fast-paced thrillers, teaming with action, are sure to enjoy Go Home, Afton. Fans of true crime, vigilante justice, grit, and strong female leads will appreciate this story, too. 3. What do you hope will be the everlasting thoughts for readers who finish your book? What should remain with them long after putting it down? If I’m being truthful, I hope readers say to themselves, “I need to pre-order the second book! That was exciting, and I have to know what happens next.” Those are immediate thoughts, however. In terms of everlasting thoughts, I hope the tagline of Go Home, Afton resonates with readers. That tagline being, “We all wear masks.” To phrase this sentiment as a different saying, don’t judge a book by its cover. You never know what’s lurking beneath the surface, and things may not always be what they seem. 4. What advice or words of wisdom do you have for fellow writers? You’ve got to write the story inside of you. Authors that attempt to chase market trends or write what’s popular almost always end up crafting an uninspired manuscript. I firmly believe that the story is more important to readers than the genre. Tell the tale that captures your interest, and it will hook others, too. 5. What trends in the book world do you see and where do you think the book publishing industry is heading? Self-published titles represent a growing percentage of book sales each year. The thing about self-publishing is that anybody can do it. I’m self-published, for example, and I recommend following that path to anyone thinking about writing fiction for the first time. The downside, however, is that because anybody can self-publish their work, there are a lot of low quality self-published books out there. There are no barriers to entry for self-publishing. So while I think self-published titles will continue to grow in popularity, there will increasingly be “noise” for readers to sift through when choosing a title to read. 6. What great challenges did you have in writing your book? There were several challenges, but for the sake of brevity, I’ll outline two. The first was writing a female lead as a male author. From a first-person perspective, no less. There are entire online threads dedicated to discussing “men writing women” and, to be blunt, most aren’t kind. Compound that with writing a female lead that happens to be unconventional and it made the entire process more difficult at times. Between my wife, my editor, and beta readers, however, I got plenty of constructive feedback along the way. The second challenge I’ll highlight is with respect to some of the subject matter in Go Home, Afton. The target of Afton’s murderous intent in this book, Kenneth Pritchard, is a known sexual predator. A predator that, Afton notes, has slipped through the cracks one too many times, thanks to the conservative all-male police force, tasked with investigating claims of his misconduct in a small town. As such, the topic of sexual assault is broached more than once, and at a time in which allegations of misconduct are making front page news every day. Some sensitivity was required here while being truthful about the viciousness of such crimes. 7. If people can only buy one book this month, why should it be yours? I think Go Home, Afton will tick a number of boxes for readers. It is, first and foremost, an action-packed thriller. One reader of an advance copy described the tension throughout as “so thick you could cut it with a knife.” Fans of morally ambiguous characters who operate within a gray zone are bound to be drawn into the story, too. Second, Go Home, Afton is the first of four parts. It’s novella-length and only 99 cents on Amazon. In other words, checking out Go Home, Afton is a great opportunity for a reader to decide if he or she might like to pick up the rest of the series. It’s a fast and inexpensive read. Third, and perhaps most compelling, Afton is not only a strong female lead, but she’s an unusual character with a fair amount of depth. I think readers will appreciate her quirks as much as her brand of vigilante justice. 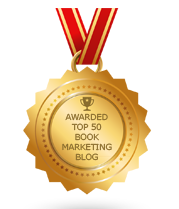 Does Your Author Book Marketing Need Brooklyn Boot Camp? Some writers need to toughen up when it comes to how they approach book marketing. They need Brooklyn Boot Camp. “I hate Brooklyn Boot Camp,” says my 10-year-old daughter. I recently started giving that name to instances when I try to get my sheltered daughter, who lives the modern suburban life, to stop whining and to take on tasks she may not want to do. The ipod-playing, TV-viewing, driven-everywhere, girl needs a touch of responsibility, of learning to navigate through challenges, and to overcome real obstacles. Or at least do some chores and think for herself. She’s not spoiled but maybe there’s a little bit of entitlement or pampered expectation about her that will not serve her well when faced with tough times. I named these moments Brooklyn Boot Camp when I feel she’s being exceptionally lazy. I then command her to do something. I grew up in Brooklyn in the 70s and 80s, when the city was in decline and crime was skyrocketing. I wasn’t in a bad neighborhood, but it was always exposed to the elements. You saw the homeless, rowdy teens, boozed-up unemployables, and scheming individuals always walking the streets, riding the buses and trains, and hanging around public places, from parks to discount stores. You had to be tough to get where you were going, to not become a victim to crime, to not be lured in by the wrong crowd. My parents didn’t have a car and not everything was as neatly packaged as things are today. Kids have things readily available to them 24-7, never knowing what it means to have a need go unmet — at least not in the cushy suburbs. Just as I want my daughter to find her internal toughness, I’d like to see authors discover their book marketing brawler within themselves. · Whine that they can’t get published. · Complain they have little time or patience for social media. · Bemoan they have few resources to hire a book publicist. · Bark they earn peanuts from their writings. · Speak with envy of successful writers without doing something about it. It just doesn’t get you anywhere to sulk or complain about how things are. The only way to get what you want and to convert your wishes into a reality is to shut up, get up, and take action. Cry to your therapist, if you wish, but it’s time to put your energy, time, resources, brain power, connections, creativity skills and heart into being the best book marketer that you can be. · You can ask for help, even if you have to borrow to hire someone. · You can write better books. · You can self-publish rather than lament you can’t find a publisher. · You can seek out your targeted readers – through media, social media, organizations, speaking engagements, advertising, or give-aways. · You can stop listing all that’s wrong or serving as a barrier and start planning how to work around these temporary setbacks. That’s right, you heard me right. Quit your bitching and self-pity partying. Put down the booze, ice cream, cigarette or whatever crutch you nurse your injured soul upon, and start empowering and inspiring yourself to take positive action and meaningful steps towards your destiny. I know it’s not easy – and sometimes it’s a real burden or hardship to overcome a world that seems to conspire against giving you a break — but you must, must, must step out of your way and move in the direction of the light. If you need some support and someone to make you better or stronger, look no further than yourself and fellow writers. Support each other and work to make yourself tougher. Otherwise, come over to my place for a little Brooklyn Boot Camp. Which Old Books Are Worth Reading Today? Can You Define What A Book Is? Why Will The Media Want To Cover Your Book? Great Book? Or Great Marketing? Space Force? How About A Book Force? Can Authors Succeed With Social Media? Why Do We Write Books?